There are a number of bills in front of the 86th session of the Texas legislature. I’ve cherry picked several that are directly related to “computer security” or Privacy. This entry was posted in Blog, Information Security, Privacy, Texas, Texas Legislation on January 16, 2019 by Eddie Block. All of them look like a breach, right? So, if I leave a laptop with data laying on the road next to the same data in a stack of papers, is only one considered a ‘data breach’ that requires notification? I’m not sure I would be willing to risk the loss of customer trust or the PR fallout of relying on such a legal argument. Imagine your customers coming back saying their identities had been stolen and your response is “we didn’t really, legally have to tell you we set your PII in the recycling bin.” Probably not the best way to win over customers. This entry was posted in Blog, cybersecurity, Information Security, Privacy on October 5, 2018 by Eddie Block. I know I’ve said this before but I am back. New posts will be coming more regularly. To kick it off I want to talk about a topic that has been near and dear to my heart for a long time and reared its ugly head again recently. Over the past few weeks I’ve been involved with an incident response. Once again, I’m reminded how important good logs are to the investigation. There are a couple issues that I would like to point out. Verify the types and quantity of logs available from your cloud providers. I won’t name names, but it rhymes with SicroMoft, have only certain logs available. This post by CrowdStrike discusses logs that were available through the vendor’s API. Unfortunately, SicroMoft closed that API shortly after it was made public. So, during an investigation, the response team is limited by the type of logs they can review. To make matters even a little more complicated, while downloading the mailboxes involved in the investigation, SicroMoft appears to throttle the download speeds. Your humble narrator was hitting peak speeds in the 3-4 Mbit range during the start of the download. After a period of time those speeds dropped to the 300 kbit range. This was confirmed by other sources who saw the same throttling. 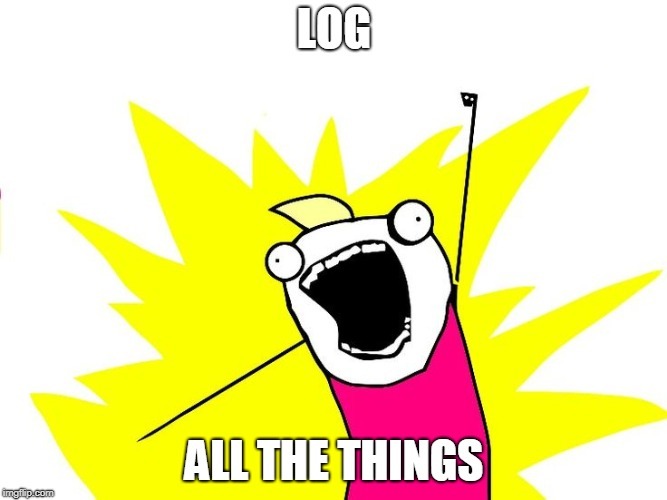 If you are logging on-premise, please test your ability to correlate your logs. There are great tools available to help, but you must make sure silly things like timezone v. UTC are able to be reconciled. Try this: Can you determine when someone logged onto the network, logged into email, sent and deleted a specific email, and logged out? Can you determine where all of this activity came from? Don’t assume, try it. If you don’t have adequate logging, you do yourself a disservice. You are fighting with one hand tied behind your back. Take time, while you aren’t fighting a fire, to make sure you can fight the fire when you need. This entry was posted in Blog, cybersecurity, Information Security on September 21, 2018 by Eddie Block. In an interesting case was brought to my attention today. In Interactive Communications Int. v. Great American Ins. the court found that the insurance provider did not have to cover losses under Incomm’s “Computer Fraud” policy. Incomm lost $11+ million when fraudsters were able to duplicate “chits” sold by Incomm. The chits could then be converted to debit cards. The fraud was perpetrated using Incomm’s IVR (Interactive Voice Response) computer system. The court accepted that “manipulation of InComm’s computers set into motion” the fraud. BUT, and this is a BIG BUT, did not directly cause the loss. Without going too deep into the inner-workings of Incomm’s process, they transferred money to a third-party to hold until the debit card was used at a merchant. In the court’s opinion, Incomm still had control over the money until it was paid to the merchant, so the loss wasn’t ” immediately and without intervention or interruption” the cause of the loss. This logic will seem crazy to some and completely sensible to others. The big takeaway is to review your insurance coverage, talk to your insurance broker, work through an example like this one, and make sure you fully understand what your insurance actually covers. This entry was posted in Blog, cybersecurity, Federal Law, Information Security on June 1, 2018 by Eddie Block.